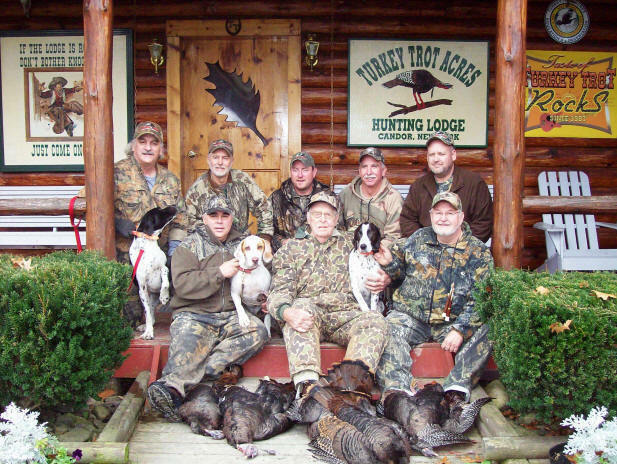 America’s Legendary Wild Turkey Hunting Destination for Thirty-Two Years….. Always a Good Time @ Turkey Trot! The NFL at Our All-Star Celebrity Hunt back in mid-nineties! 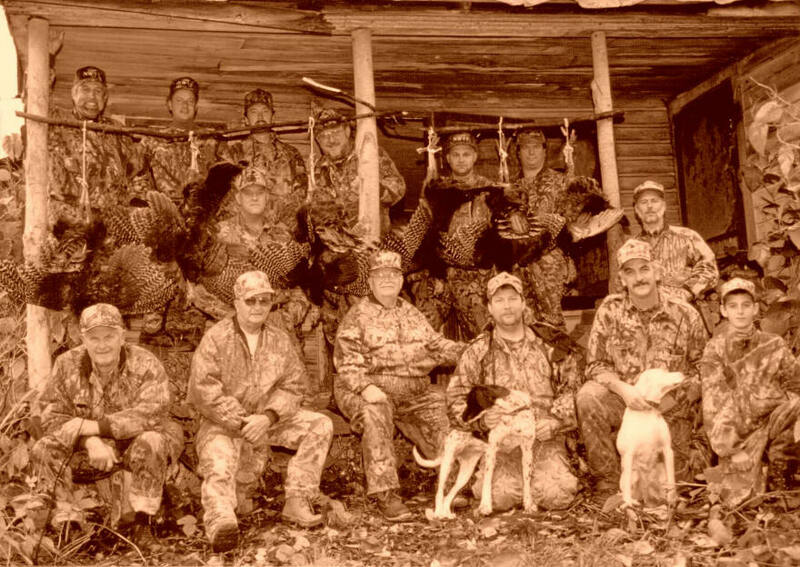 NY Giants Michael Strahan Sacks His First Gobbler @ The All-Star Celebrity Hunt back in the day! 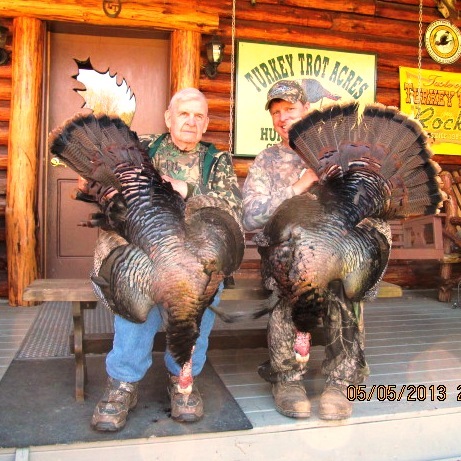 My good huntin’ buddy Luke graces the cover of the September/October, 2008 issue of Turkey Call magazine and as luck would have it…………I just happen to be standing with him! 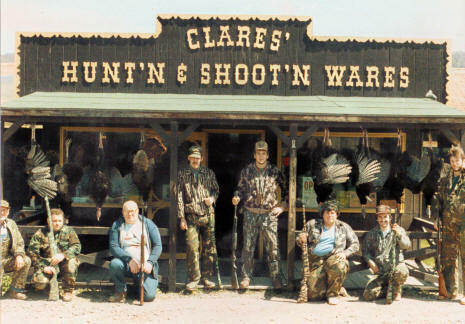 Here’s a Classic Photo with the NWTF Boyz circa Mid 1990’s, This Stuff Never Gets Old! 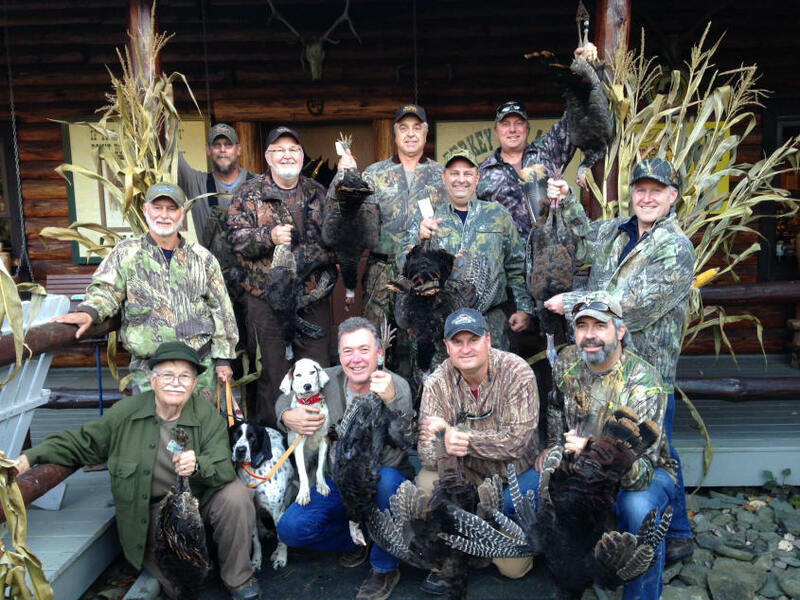 Marlin Watkin’s Retro Hunt ~ No Camouflage , No Decoys, No Blinds Allowed… No Problem! 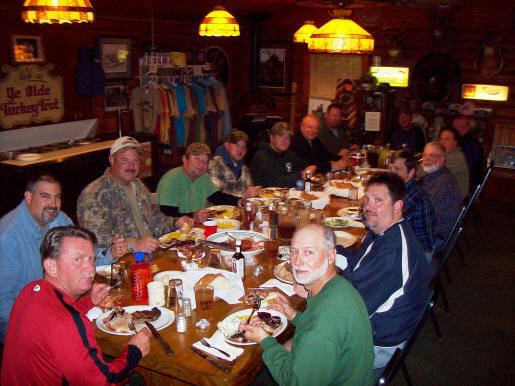 Dinner Time is Always Popular at Turkey Trot! 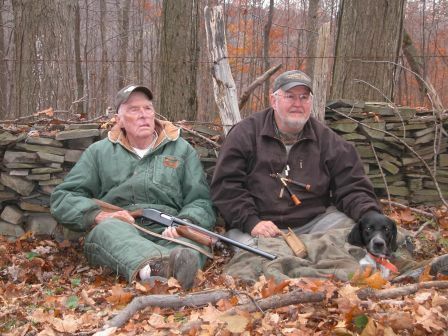 Three Turkey Trot Legends and some Legendary Hunting Grounds……. John Byrne, Marlin Watkins, Luke and The Stonewall at Paradise! CLICK SIGN FOR OPEN DATES AND PRICING. 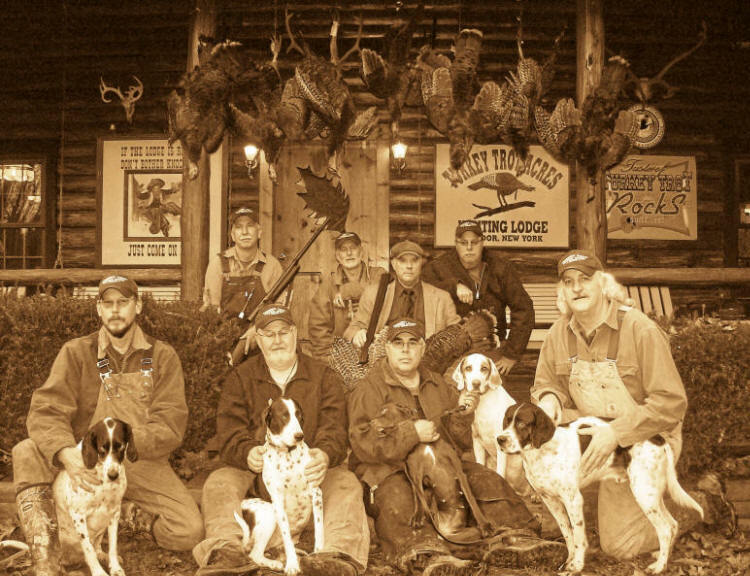 If you want to go on a great hunt n meet some great people from the owner Pete n sherry to the guides that u hunt with this is the place! I have been going here for the last 10 years it is an exceptional place n all around great time!! 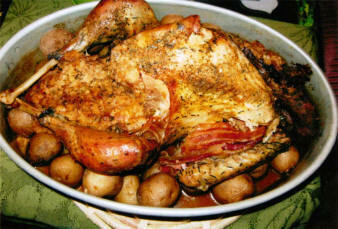 Thank u Pete n sherry!! 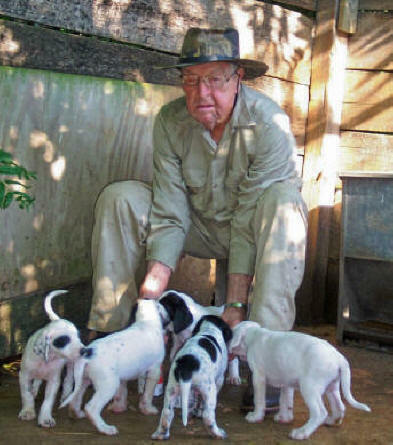 It was October, 2009 when I came to the Trot to try fall turkey hunting with dogs. Well, here we are, eight years later, and I still remember that hunt and the sorrow of defeat, and the thrill of victory (finally). 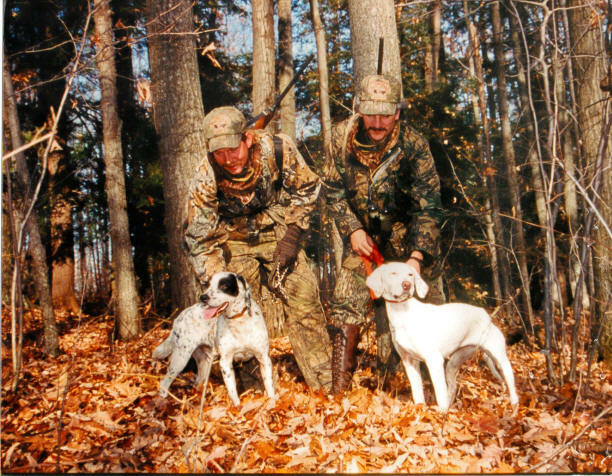 As I said when there, I have a world slam, but hunting at Turkey Trot with dogs, there is nothing like it in the turkey hunting world except at Candor, NY. So again, thank you all for a great (and obviously unforgettable) time and if a fall season doesn’t fill up during a time I can make it, I’ll be back!